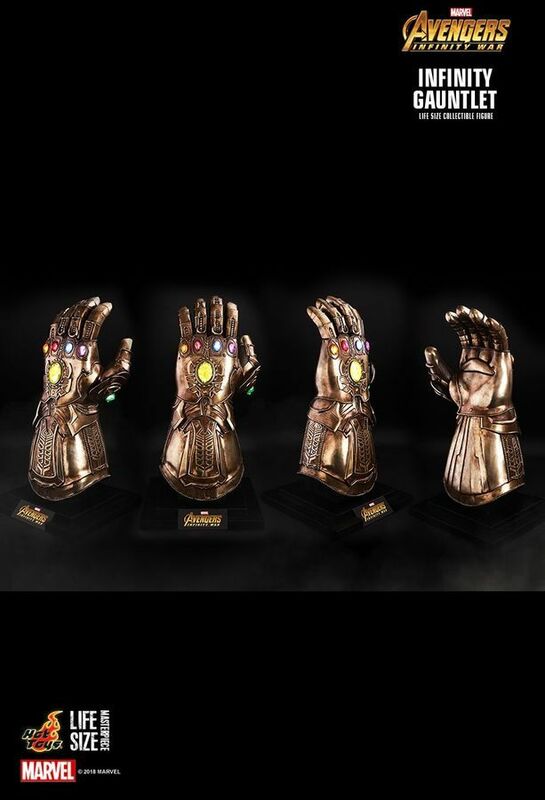 Avengers 3: Infinity War – Infinity Gauntlet 1:1 Scale Prop Replica – best price in Australia! 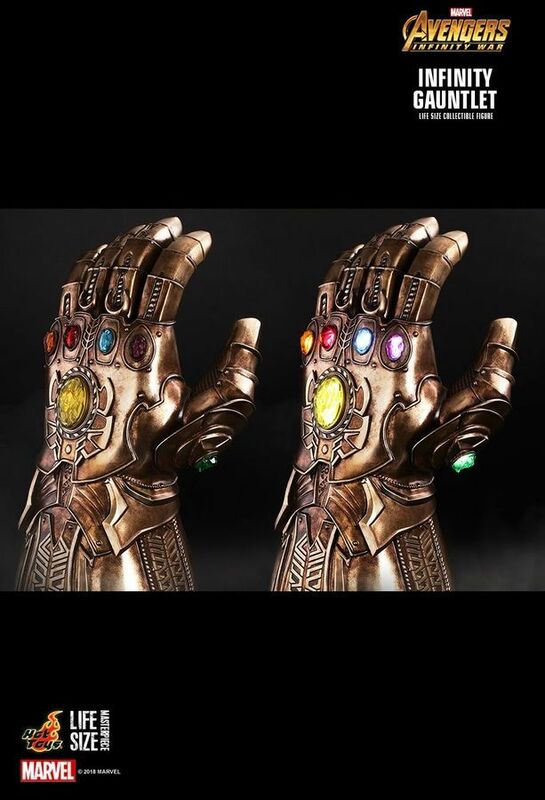 Since the debut of promotional materials from Marvel Studio’s eagerly awaited blockbuster, Avengers: Infinity War, fans were instantly thrilled and captivated by the mighty Infinity Gauntlet, as one who possesses the Infinity Gauntlet shall gain omnipotence power. 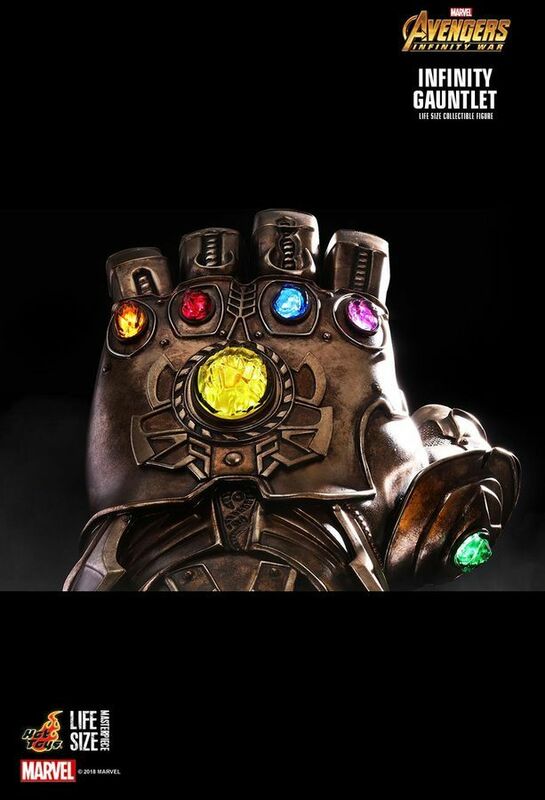 Thanos, the dangerous powerful supervillain who has been lurking in the shadows, is now in search for the crucial Infinity Stones which include Mind Stone, Time Stone, Power Stone, Space Stone, Reality Stone and Soul Stone to complete the Infinity Gauntlet! 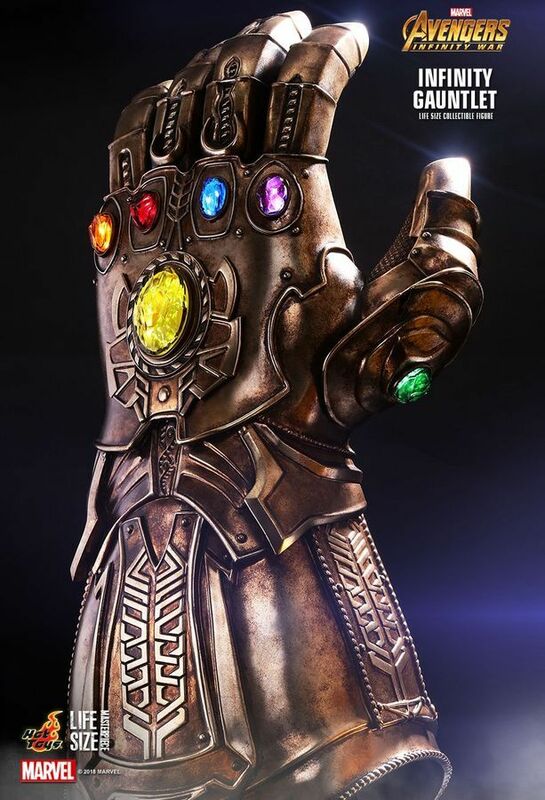 Hot Toys is excited to officially introduce the invincible Infinity Gauntlet that is recreated in the actual size and proportion of the gauntlet Thanos uses in the Avengers: Infinity War! 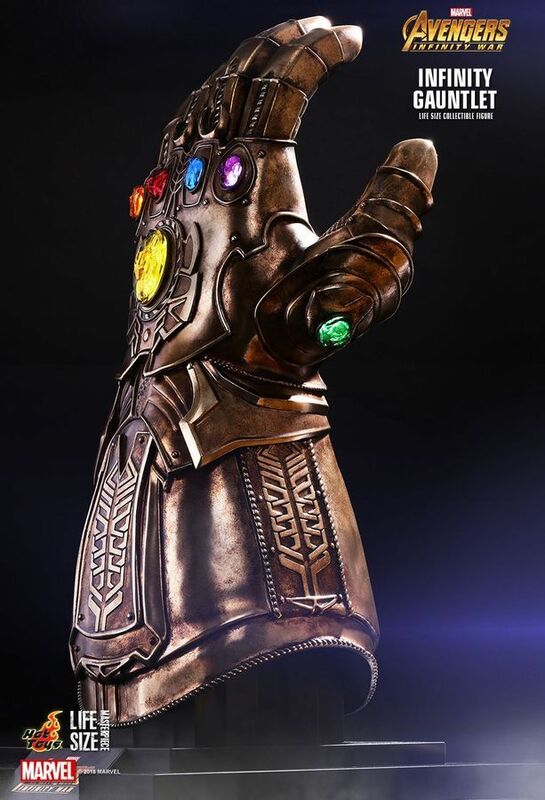 This remarkable and realistic polystone-made life-size collectible stands approximately 68cm tall, and it features all authentic and minute details of Infinity Gauntlet. 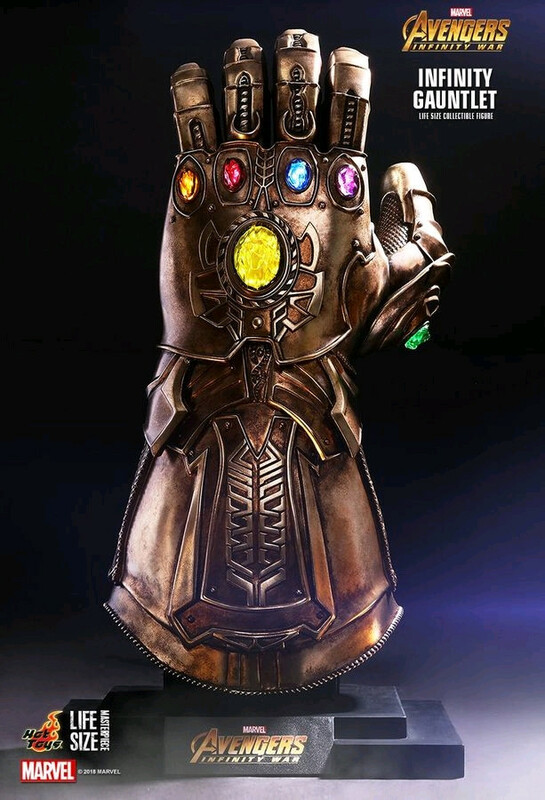 It is equipped with LED light-up function with two lighting modes which include light-on effect and breathing light effect for the six mighty Infinity Stones, phenomenal multi-layered metallic painting with weathering effects highlight its incredible aesthetics, and a specially designed custom base with movie logo. 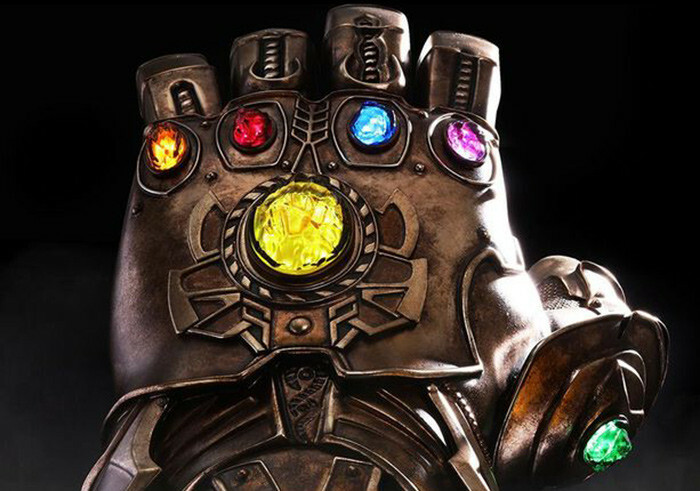 This gorgeous Infinity Gauntlet collectible will definitely be a stunning collectible art piece and holy grail of your Marvel collection!